The big players in the beauty industries are kicking things up a notch in recent times with an extensive range catering to… well, you know it — millennials. If you identify yourself as one, then you’re not alone. As much as we hate the term — especially when we live in a society that deems us as high maintenance/picky/or whatever you want to call it — it’s literally impossible to run away from the fact that we sort of are choosy when it comes to our products. In this case, skincare. So how would you differentiate your usual skincare range from that of millennials’? Think — pastel and/or minimalist packaging, affordable price points, the unique application of products, and everything else you could think of that’s Instagrammable. Correct me if I’m wrong but let’s just reflect on the amount of time we spend on our phones scrolling through our feeds, double-tapping, and of course, taking countless selfies, especially with the iconic dog filter (that lowkey makes our skin look flawless, with or without makeup). I mean, can you relate? But whatever filter you’re using, scrap it. Let’s be real here — you can’t honestly be depending on it for the rest of your life. As much as we love looking like filtered versions of ourselves as dogs, cats, bunnies, or any sort of animal you aspire to be on your socials, truth is, your main focus should be on your skin. And no, we’re not introducing more new millennial brands. In fact, we’re talking about some of the more established brands that have jumped onto the bandwagon and taken on some of the bigger trends surfacing in millennial beauty. So put aside those filters and face your skin concerns head-on with these millennial-inspired skincare collections from your favourite skincare brands. If you’re the kind of millennial who’s conscious about what you’re putting on your skin, then you’ll be glad to know that luxury French skincare brand, Clarins has got something new in store for you. 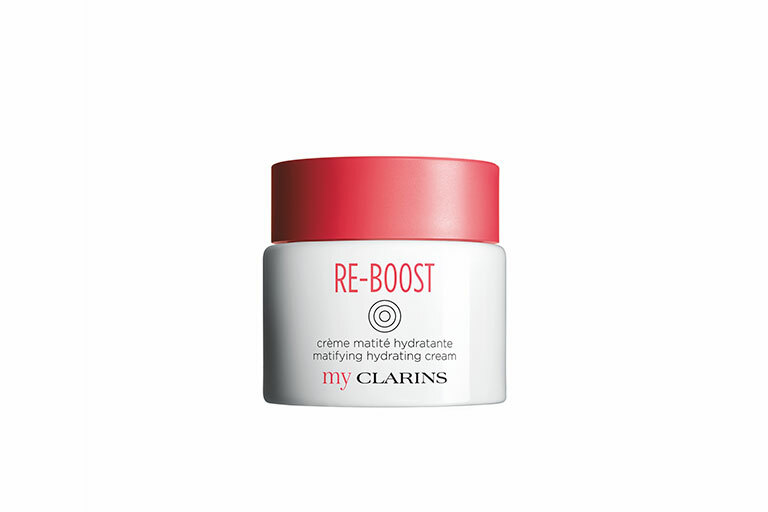 With the release of their new skincare range, my Clarins, the line focuses on younger millennials who are entering into their twenties and targets those with skincare concerns. 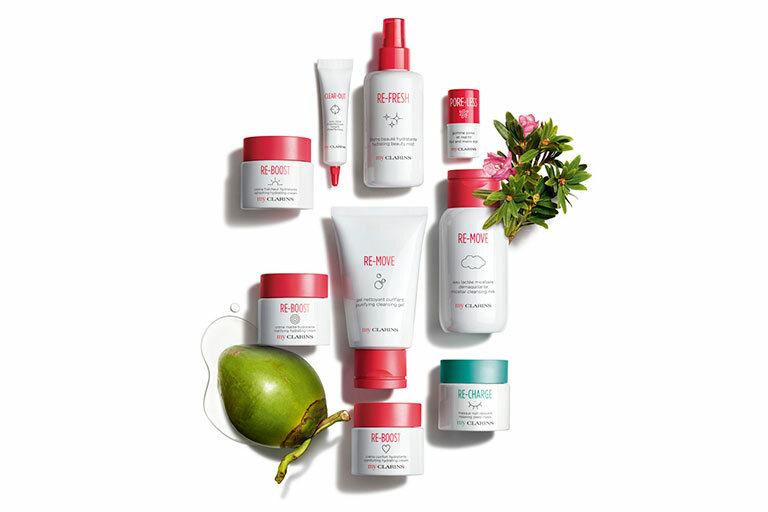 It features nine products — a refreshing hydrating cream, comforting hydrating cream, mattifying hydrating cream, relaxing sleep mask, hydrating beauty mist, purifying cleansing gel, micellar cleansing milk, mattifying stick, and a spot treatment that targets your imperfections — what a mouthful! Aside from the fact that it’s centred around plant-based ingredients, the cruelty-free line also comes in a minimalist, eco-friendly packaging that gives it a more sleek, clean aesthetic that appeals to the majority of the crowd. Is it time to up your #shelfie game? 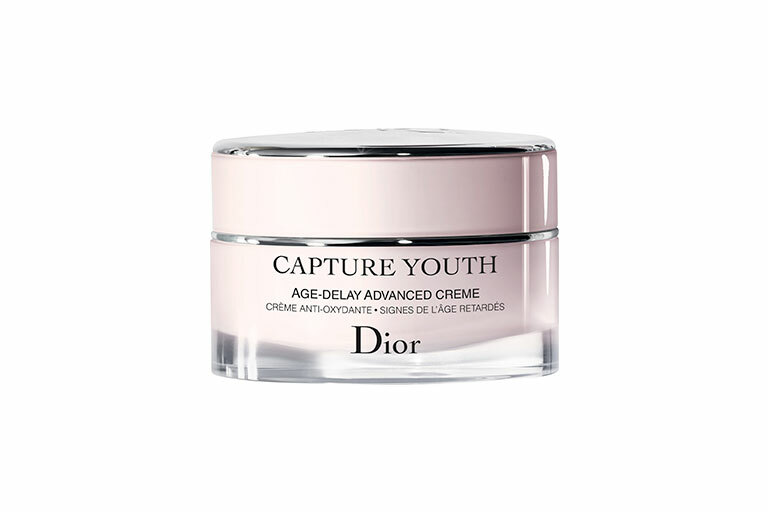 For those who tend to experience an oily sleek (let alone, shine) come 3pm, then this Mattifying Hydrating Cream might just appeal to you. Sure, you might be thinking “Why do I need another moisturiser when my skin’s already oily?” Well, that’s where you’re wrong. In fact, when you skip your moisturiser, you’re only making your skin condition worse and using products that overwash your skin will only make it… more oily. This moisturiser, on the other hand, moisturises your skin while it minimises imperfections, shine and pores. Slather an appropriate amount all over your face for a matte finish that lasts for a good 8 hours. Name us a better brand who does it better than Shiseido when it comes to masks for millennials. 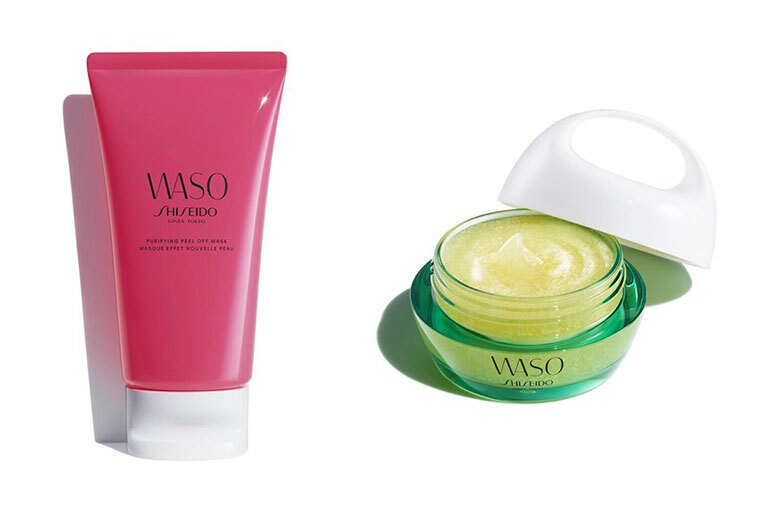 Till then, peep Shiseido Waso‘s highly raved range of Purifying Peel Off Masks and Beauty Sleeping Masks. If you find yourself glued to your phones till the wee hours of the morning, we’re pretty sure that you’ve encountered a concern or two when it comes to the health of your skin. Dehydrated skin, a spot or two on your cheeks, and the list go on. Shiseido Waso Purifying Peel Off Mask (left) and Beauty Sleeping Mask (right). To solve your pore-blems, slather on the Purifying Peel Off Mask on your areas of concern; like your t-zone, cheeks, or forehead, to improve your skin’s complexion — say, clogged pores and other dirt particles. Sure, it may sound like your typical face mask, but did we mention that it goes on shimmery and comes with a dark red hue to it? That’s some Instagram content right there. 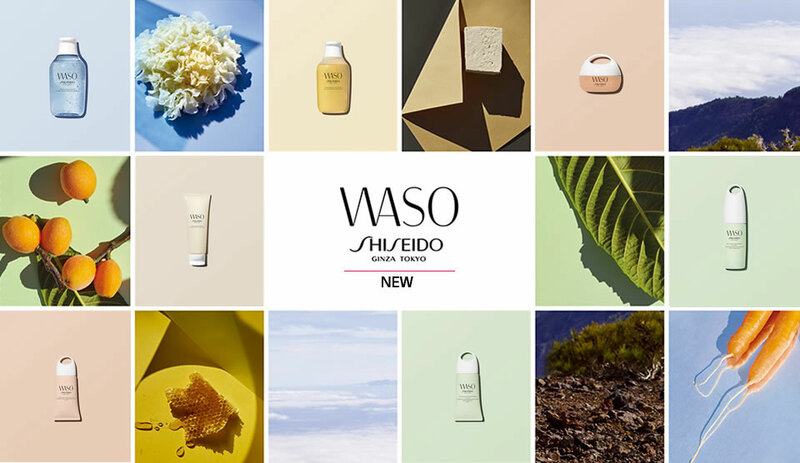 And if you can’t afford the time for your well-deserved beauty sleep, try opting for Shiseido Waso’s Beauty Sleeping Mask instead. With just one layer, you’ll be surprised to be waking up to skin that’s brighter and more radiant. Ruling the world on our socials only means lesser time spent on skincare. If you find yourself snapping away because you’re oh-so-proud about your MOTD, then, by all means, snap away. But only on one condition, and that includes removing your makeup and giving your skin the TLC that it well deserves. 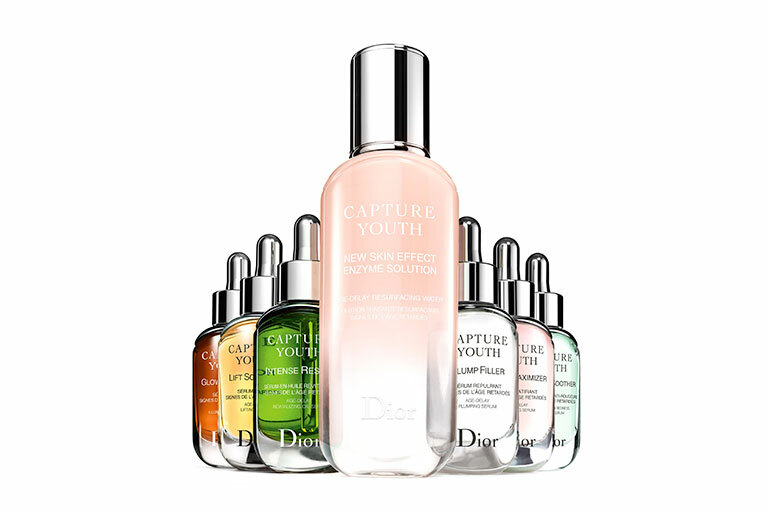 So if you find yourself in your twenties and you’re starting to dwell on the signs of ageing that’s starting to appear on your face, Dior’s Capture Youth collection might just be the solution to all your problems. The collection features a range of serums, a Skin Effect Enzyme Solution and an Age-Delay Advanced Creme — which literally sounds like a magic elixir of immortality. Okay, that might be a little too exaggerated but if your skin needs a little boost or if you want it to be smooth — then this arsenal might just do you good. Worried about external aggressors and skin ageing affecting your skin? Then this line by Sulwhasoo should be your first line of defence. Formulated with plum blossoms, the range is said to protect your skin from external factors and signs or ageing which many may be concerned about as we enter our 20s. I’ve tried these for myself and I found that the formula was lightweight and absorbs really quick into my skin. After applying it, I also felt that it made my skin plump and more radiant than it was before. Besides, it comes in our perennial favourite hue: pastel pink! How could you say no? 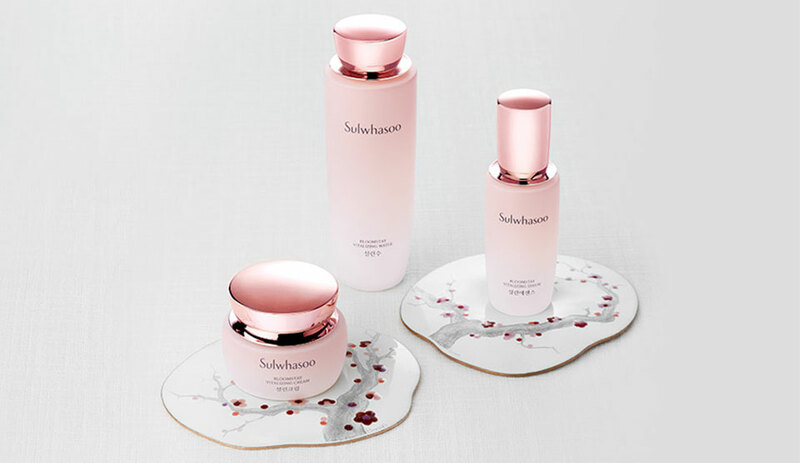 I wouldn’t say that Sulwhasoo has the most affordable price points, especially for millennials, but I have to admit, this serum does work wonders for your skin. I really liked the consistency of the serum and how well it absorbed into my skin. It may be hard to believe (for some), but after applying it, I felt that my skin was plumper and brighter. Oh, and of course, it smells A-M-A-Z-I-N-G — so that’s always a plus!